Seven Facts Your Broker Won’t Tell You About The Fed and Your Finances. Don’t kid yourself. The Fed affects everything when it comes to your money. As I wrote previously, it was highly unlikely the Fed was going to pull back on purchasing $85 billion in Treasury and Mortgage bonds in September. Have you checked the volatility in mortgage rates lately? The 30-year fixed breached 5% and now has backed off. How about activity? New-home sales are nowhere near pre-crisis recovery levels. Wall Street and large investors have swallowed up existing homes which has spiked housing inflation, making them less affordable for home buyers like you and me. Ben Bernanke is clearly concerned about the overall state of the housing market which leaves him frozen to move away from the great experiment. How would you feel about a higher interest rate on an auto loan or credit card? We’ve seen anywhere from a 4-10% decrease in median real incomes since 2008, for American families. Part-time employment is the new full time job. Anyone believe the Fed wants to weaken your shaky household balance sheet by creating monetary uncertainty in the face of inept fiscal policy? Have you checked the anemic interest you receive on savings accounts and money markets? It’s a bad joke. And what about the portfolio? There’s an impact due to interest rate policy. There’s a big ka-pow to the pocket and economic activity if rates continue to increase rapidly too, as they’ve done recently. How the Fed can cause another 1987 crash. As a student of the Great Depression, the last thing Ben Bernanke wants to do is create a 1937 like Fed hubris-induced market crash. Higher rates matter. You’re smart enough to know that. So, what won’t your broker tell you about what looks like an imminent conclusion to the Federal Reserve’s grandiose bond-buying experiment? And what if the Fed puts off a taper as far out as 2015? It could happen. How will investors deal with the volatility? Bonds are supposed to be the “safe” money, but is it? What do you need to know to make you a smarter investor? 1). Cash is an asset class. No, it is. Really. Cash doesn’t gyrate. It provides protection when stocks and bonds are both heading south. Like now. Cash is a stabilizer. Think of it as the foundation under your house. Just because it’s not pretty and doesn’t feel like it’s doing much, realize it has an important job: To provide stability. Cash is a good diversification tool. It doesn’t zig, zag. It just sits there. Like an anchor. Think of cash as an anchor. Or a Snuggie. 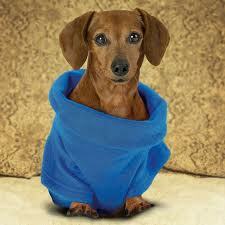 They “jumped the shark” with the doggie Snuggie. Your broker would prefer all your money is invested regardless of prices paid for the investments. Having cash takes discipline. A portfolio strategy would be nice so there’s an ongoing plan to put cash to work. Having cash won’t burn a hole in the portfolio. Eventually you’ll invest it. What’s the rush? Well, maybe you won’t since there’s nothing wrong with maintaining a targeted amount of cash in your asset allocation at all times. From my own past experience I was advised by a “concerned” branch manager, that I held “too much cash” in client portfolios. I had ten percent across the board. You would have thought I committed murder. Ask your financial person: How much cash should I maintain?” Let me know when you get the blank stare, open mouth. Drooling. Rebalancing is important at all times and especially important now. It’s a strategy to sell high, buy low. It’s also effective at managing portfolio risk over time. Ask your broker – “What kind of rebalancing process is right for me now that interest rates are rising and stocks are off their highs?” I expect you to be met with more glazed eyeballs. 3). I’m relationship on the surface, transactions underneath. I was warm and fuzzy months ago when I sold you that fixed income investment. I’ve been out to lunch ever since. Have you received a call from your broker to talk it out, gain knowledge about the current environment? Perhaps there’s nothing you need to change when it comes to your bond or fixed income allocations. It would be nice to know, wouldn’t it? A little reassurance and education can go a long way. Leave a message. Your broker will get back to you. 4). I stink at understanding you from a behavioral perspective. I’m not a shrink, I’m a sales person. So many studies exist which outline how humans are not wired to place money into bonds, stocks, gold, widgets. Our brains are like primal beasts when it comes to investing. 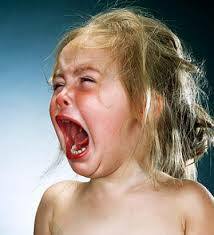 We are prone to emotional reaction (or overreaction), fear & greed, selling low, buying high. Your Money & Your Brain. 5). 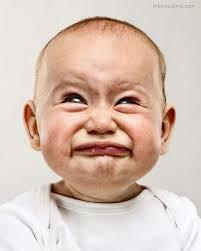 I don’t study on my own. I depend on a corporate think tank to feed me thoughts. This isn’t all bad. There are smart investment strategists out there. However, it would be refreshing if your broker had his or her own opinion about a macroeconomic event even if it conflicts with the corporate brain feeder. A good broker will lay out the risks, rewards, pros and cons. Try this: “Forget what your company thinks about this interest rate train-wreck – What are YOUR thoughts?” I’m really setting you up for disappointment. I’m sorry. 6). I have no idea how Fed actions affect your portfolio long term. If you hear these words, keep your broker. He or she is a gem. Frankly, even during the Great Depression, interest rates were never this low for so long. 7). I have no thought-out rules to manage risk the Fed has created. First, to manage risk in your bond portfolio, shorten what’s called your bond portfolio duration (a measure of interest rate sensitivity) now. As prices have recovered in the face of a Fed “fakeout” or no taper, you now have an opportunity to re-position your fixed income allocation. Currently, our portfolios are roughly 3-4 years in duration making them less sensitive to future increases to interest rates. We hold a targeted amount of risk in emerging markets bonds which possess attractive yields (4-5%). Municipal bonds are also priced attractively even for those in lower tax brackets. Second, we are in the process of liquidating all GNMA investments – if interest rates increase again, refinancing activity will drop off which can lengthen a GNMA bond’s time frame to payoff or maturity. Longer time frames can result in greater principal risk or lower returns to current bondholders. Third, we have created a series of duration-reduction rules based on our study of the long-term trends in Treasury yields. Currently, a 10-year Treasury yield of 3.15-3.25% would warrant attention and perhaps a reduction of bond durations to 2-3 years. The unwind from this Fed experiment is beyond comprehension – there’s no historical precedent. Make sure your adviser is at least searching for, inquiring about, gaining information from others who are smarter. Your financial partner needs to be flexible enough to change up your fixed income strategy if warranted. Honesty, study and communication are the keys to make it through this period. My thought? 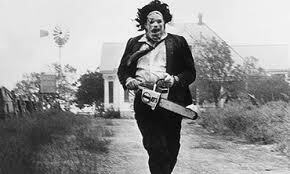 The Fed will not taper in 2013. However, the volatility in yields will remain as all of us cling to every word, each media bite out of Federal Reserve officials and then take action. Overreactions will be the norm. And you thought bonds were supposed to be the “boring” slice of your portfolio. Don’t panic. Keep your cool. Oh, and call your broker. The Bond Markets are Downright Spooky! Don’t Panic! (Slight Panic). The bond markets are downright spooked. Or are they?? What is a bond? Well, boys and girls a bond is a debt. You loan money to a corporation, a government, a municipality and for that you privilege you receive interest payments (income) and eventually, if the borrower is high quality, you’ll receive your original investment back (no this not like lending to your brother-in-law). And when interest rates go up, your bond may be worth less (if you try to sell it before it matures). 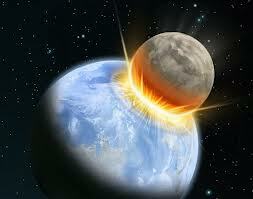 Most important, when interest rates rise…..
IT’S THE END OF THE WORLD FOR BONDS!!!! Look! A bonderoid just hit!!! You would think we’re smack in the middle of the zombie apocalypse and bonds are biting and infecting portfolios. It’s World War B! (Sorry Brad Pitt I stole your cinema thunder for WWZ, coming to a theatre near you, soon). 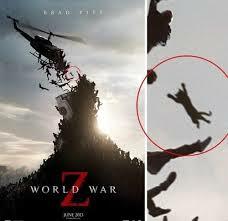 Look there’s a zombie cat in World War Z!!! So, let’s take a breath and examine this situation with level heads, shall we? Master Blogger, best-selling author, friend James Altucher advises readers, followers, to take deep breaths and hold for 4 seconds (or 4 ticks in the 10-year Treasury note yield). Ok. Are we relaxed? Let’s get excited again! OMG OMG OMG OMG!!! (MEDIA UNCUT INTERPRETATION). 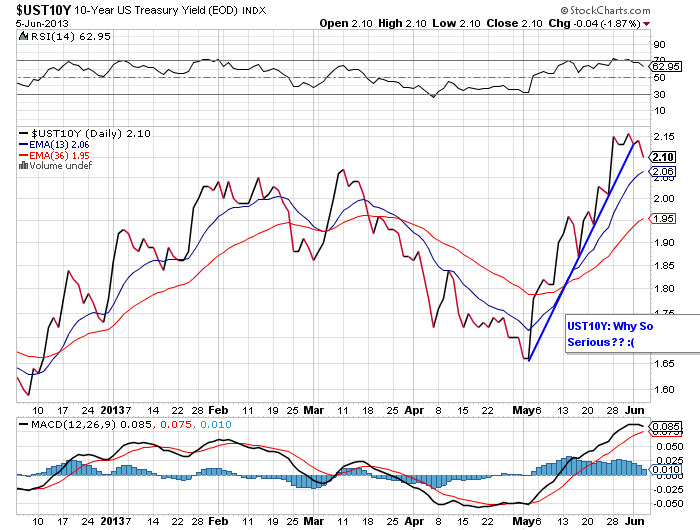 Yes, is the short-term whoosh a bit unnerving in treasury yields? Sure. Most troubling, as bond prices were falling (due to rising interest rates), stocks were faltering too, especially the more “interest-rate” sensitive groups like utilities, MLPs, REITs. Overall, every asset class experienced a respectable pummeling. The positive connection was a bit scary as I have diversification phobia. Based on research and observation, true diversification has become a challenge, especially since the financial crisis. As I’m paid to help clients reach personal financial benchmarks and manage portfolio risks, I’m a forever student on this topic. Despite what you hear from the financial services industry, diversification is not some form of panacea. Yes, it’s important, however true diversification is becoming tougher to achieve these days. So, when bonds don’t provide diversification to the movements in stocks, it brings back night sweats circa 2008. Some of my research for my second book leads me to the mysterious topic of diversification. Reading takes me back to the 1920’s: 1920-1929. From the writings of stock market sages long dust in the ground. From the defunct but once iconic “The Magazine of Wall Street.” Featured briefly in the recent remake of “The Great Gatsby.” Those movie people sure do their homework! I was shocked by the authenticity. Strange. I’ve asked a few brokers what they believed diversification was and received the response: “To spread one’s cash among a number of different issues.” Hmm. Stay with me. Hold the line. I like that. So when bonds and stocks begin to move in the same direction, it causes me to sweat just a bit, become more aware of the macro conditions (mostly sweat). Oh, where were we? Oh right: The move in bond yields. And we have been deep-breathing, correct? OMG OMG OMG OMG! Let’s think a bit longer term, shall we? 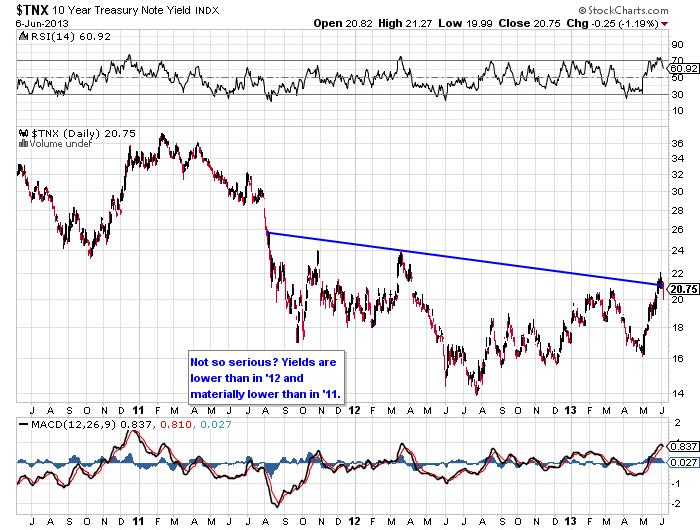 Yields are still lower than 2012, and even lower than 2011. Whew. Perhaps the sell-off was/is an overreaction. You mean we overreact in the bond markets now too? Sheesh! 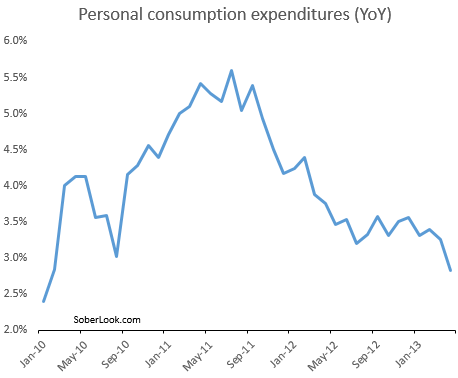 I can hear the cry now: Has Ben Bernanke abandoned us? 1). First unemployment is nowhere near the Fed’s target of 6.5%. And based on past interest rate action higher or lower, we know that the Fed moves like an aged Fed Governor’s gait on ice. 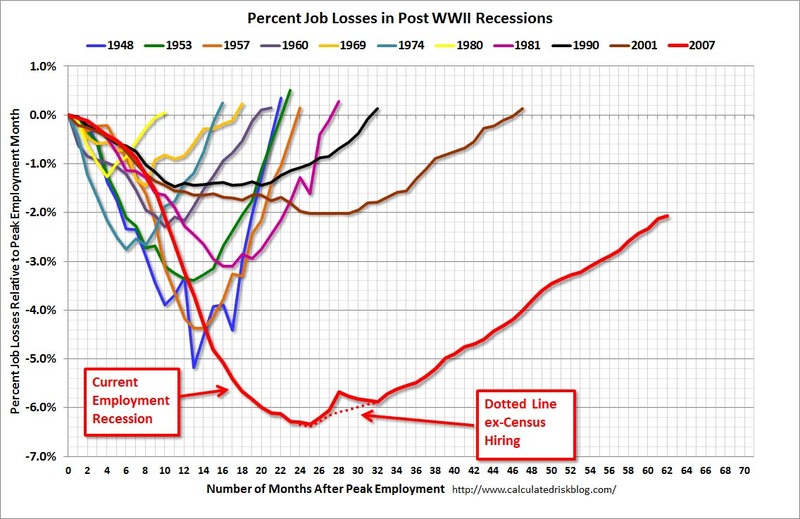 My favorite chart by Bill McBride shows how far the economy still needs to go before we even reach peak employment (pre-financial crisis). It’s like 62 months already. Is the situation improving? Yes. Slowly. However, the bond market is reacting like the economy is ready to reach escape velocity and we’re going to see major hiring right around the corner. It’s all about aggregate demand, stupid. And speaking of such. Within leisure and hospitality, employment in food services and drinking places continued to expand, increasing by 38,000 in May and by 337,000 over the past year. Retail trade employment increased by 28,000 in May. The industry added an average of 20,000 jobs per month over the prior 12 months. In May, general merchandise stores continued to add jobs (+10,000). Health care employment continued to trend up in May (+11,000). Job gains in home health care services (+7,000) and outpatient care centers (+4,000) more than offset a loss in hospitals (-6,000). Over the prior 12 months, job growth in health care averaged 24,000 per month. So, if my math is correct 94,000 out of the 175,000 jobs created in May were in lower-paying industries of the economy. My favorite waitress at Cracker Barrel restaurant, Jessie Lou, does a great job. I’m certain she consumes. I know I’m a good tipper too. That doesn’t mean Jessie Lou has a lot of spending power. I’m thinking Ben Bernanke is examining the quality of the underlying jobs too before he decides to alter his actions. 2). Households are still deleveraging. A fancy way of saying they’re paying down debts. They’re not maxing out credit cards or using their houses as ATMs anymore. You see, corporations can shore up their balance sheets relatively quick, in a few quarters. It’s not the same for households. It takes time for household balance sheets to heal. Progress is happening. We’re just not there yet. I mean what are you gonna do? Fire the kids to lower expenses? No. You spend less (see below). 3).Nobody rings a bell, blows a whistle, no Paul Revere stuff happens when it comes to the reduction of a bond buying program. A metric doesn’t exist which helps markets gauge when the Federal Reserve decides to “taper” or stop their grand experiment so markets attempt to decipher what Bernanke says and then overreact to the overreaction. Even when BB is crystal clear about his intentions, traders, investors, the media are seeking the meaning behind the meaning and taking out their guesses on stock and bond prices. Tell me if you heard this – If the economic news is bad that means the stock market will like it and head higher. If the news is really good that’s good too because that’s a signal that the Fed can unwind gracefully. Huh? Frankly, all of us involved with investments are guessing at best. There’s no way to judge how the Fed extracts from this zero/low interest rate experiment but believe me the world is watching. It’s like taking a shower with the curtain open and having all the heads of global central banks sitting on the bathroom floor watching, waiting. With a skilled hand you use tweezers to reach into “patient Sam” and extract all types of hilarious body parts – Adam’s Apple, Butterflies in the Stomach (a plastic butterfly), Spare Ribs. 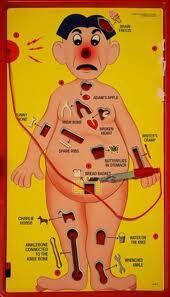 Now the challenge is the plastic ailments are tiny. The openings within “Sam” are slim, so you must go in and extract without touching the metal edges of the openings with the tweezers, otherwise a loud buzz goes off and Sam’s red nose lights up like a Christmas bulb. Right now, Bernanke has the tweezer on the Funny Bone and if he doesn’t use a steady grip to extract, he’s going to set off the buzzer on panic and stock, bond markets will light up red. Not an easy feat (and it won’t be funny). Appears BB has a real dilemma on his hands. Markets will remain volatile and trade off headlines as we go through summer. 1). Decrease your bond durations to 3-5 years. In other words, speak to your broker, adviser and have them decrease the interest rate sensitivity in your bond portfolio. Investors are not going to totally abandon bonds but we are going through a re-evaluation of bond yields which will drive you crazy. 4). Dividend-based and interest-rate sensitive stocks are beginning to look attractive again. 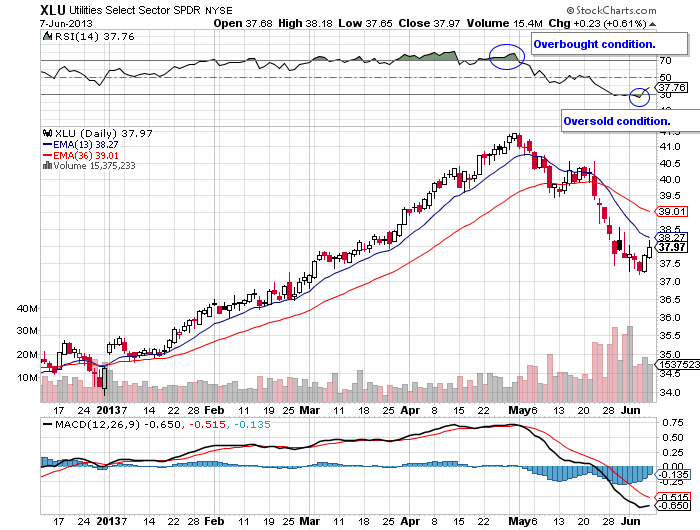 For example, the exchange-traded fund XLU, which holds, well, S&P utility stocks, has worked off an overbought condition. I’m waiting for a positive MACD crossover before I enter. As of the close of business on Friday, June 7, the twelve month yield is 3.86% according to Morningstar. Overall, we live in interesting times and our grand interest rate suppression experiment will make history. For now, all we can do is breathe.